Along with the “Japan” clasp, the “Germany” clasp is authorized for wear with the Army of Occupation (AOO) Medal established on April 5, 1946. 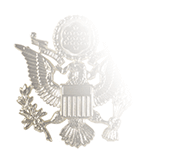 To qualify for the AOO Medal, servicemembers must serve a minimum of 30 consecutive days at a normal duty post while assigned to occupation armies in Germany, Austria, Italy, Berlin, Japan, or Korea. Inspectors, couriers, escorts, passengers, and so forth who spent time with the designated armies do not qualify for the AOO Medal. 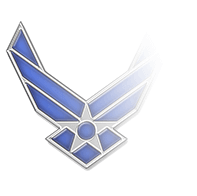 On the other hand, any servicemember awarded the Berlin Airlift Device is automatically eligible for the AOO Medal. 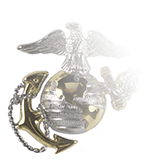 Servicemembers assigned to AOO Armies in Japan or Korea are authorized to wear the “Japan” clasp. 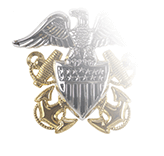 The use of clasps to identify regions of service was first used with the World War I Victory Medal. 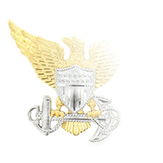 In addition to clasps for England, Italy, and France, Russia and Siberia clasps were also authorized to recognize two expeditions of American troops sent to battle the Soviet Union’s Red Army between 1918 and 1920.